April 20 (4/20) can be an auspicious day for cannabis-related businesses. But this year, some of them will see their bank accounts abruptly closed. 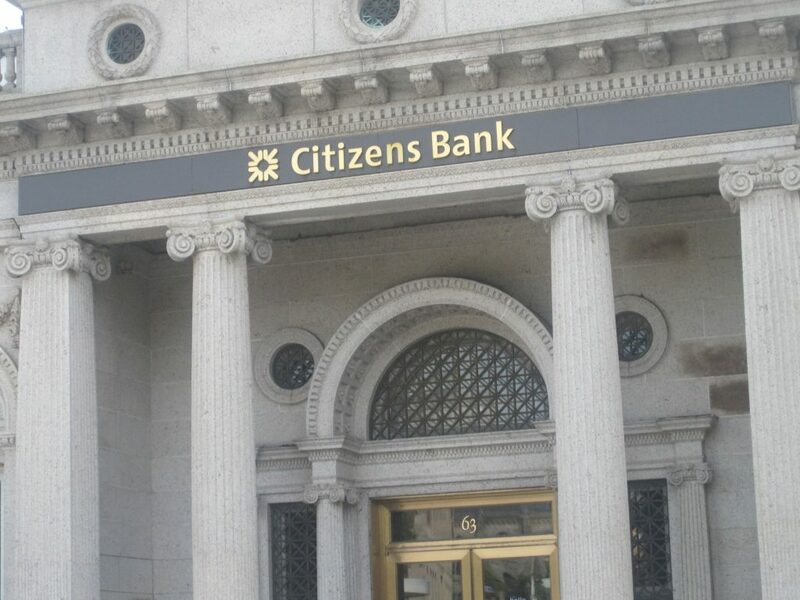 Citizens Bank, based in Providence, Rhode Island, informed an unknown number of customers with connections to the cannabis industry that they would be closing their accounts on April 20, offering no explanation in the letter as to why. “We felt like having the account closed on 4/20 was kind of a kick in the head out the door,” said Peter Bernard, executive director of the Massachusetts Grower Advocacy Council (MGAC). Hundreds of applicants have already applied for adult-use cannabis business licenses in Massachusetts, but business owners still face other roadblocks, particularly when it comes to finding a bank that will support them. Citizens Bank, which in the past has worked with cannabis-related businesses, abruptly changed course on April 6. Not having access to banks creates problems for every kind of business across the industry. One problem that is likely affecting entrepreneurs who are thinking getting a license is that not having a bank limits access to loans. Without a bank, business owners often can’t use loans to get their business off the ground, which drives people towards the private investment market. Bernard explained that while there’s nothing wrong with that, business owners often have to ask for investments before they have a business or even a license to prove that they can be successful. “There’s a huge reward but there’s also a huge risk,” Bernard said. MGAC is an advocacy organization that does not have any physical contact with cannabis plants, and Bernard explained that when they approached Citizens Bank a little over a year ago, they had to prove that fact before they could move forward. “We had to jump through some hoops to show that we are a political advocacy group, not engaged in the cannabis industry,” Bernard said. Now suddenly, MGAC and Bernard’s other business, The Harvest Cup Inc, both have a week to remove the remaining balance in their accounts before Citizens Bank writes them a cashier’s check. Megan Griffin, vice president of media relations at Citizens Bank, said she could not comment on individual accounts, but that the bank has a policy of not engaging with the cannabis industry. “Use of marijuana is not currently recognized as legal by the federal government, and given this open jurisdictional issue, Citizens Bank does not do business with this industry segment, including ancillary businesses,” Griffin said. Bernard said that the letters MGAC and The Harvest Cup received from Citizens Bank gave no explanation for the closing. Bernard also reported that Citizens Bank prevented another acquaintance of his from using direct deposit for her paychecks from a dispensary. “It seems that any dispensary employee that uses Citizens is looking for a new bank today,” Bernard said. Bernard is now in the position of shopping for a new bank for MGAC, but there are not many options, even for an ancillary business that doesn’t deal with the product directly. Century Bank in Medford has been openly doing business with people in the cannabis industry and Marc Shepard, the president of New England Cannabis Conventions (NECANN), said that he uses Rockland Trust out of Rockland to support his business. “If an organization like mine (has trouble), what about those hundreds of applications that just went in?” Bernard said. Other problems and risks also come up when businesses don’t have access to banks. Like any business, cannabis businesses often depend on bank accounts for daily tasks like processing payments from customers. Without a bank account the basic act of charging a customer is more difficult. “If you can’t process orders you can’t really open your business,” Shepard said. Not being able to process orders by debit or credit card leads cannabis businesses to operate with cash only, which Bernard pointed out is a security risk to the business and to customers. In February, the Cannabis Control Commission chairman Steven Hoffman was quoted in The Boston Globe recommending that Massachusetts consider establishing a state run bank to avoid creating a cash-only industry. Bernard explained that another solution would be for a private bank to seek private insurance coverage instead of insurance through the federal government.